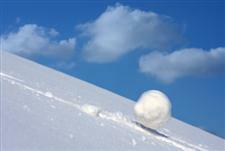 Sin is like a snowball. One sin will often lead to another sin, which will lead to further sin. Those who crave their drugs will steal to get the money to support their habit. Those who are engaged in secret sin will lie to cover it up. The Bible contains many examples of this sort of behavior. I’ll give you two. Ahab coveted Naboth’s vineyard. When Naboth refused to sell it, Ahab was upset and angry. It lead his wife, Jezebel, to bribe two worthless men to testify lies about Naboth, which led to Natoth’s execution, … all for a vineyard (1 Kings 21). King David is another example. He committed adultery with Bathsheba. In attempting to cover up his sin, David deceived her husband, Uriah, and ordered that he be killed in battle (2 Samuel 11). What to do? Deal with sin quickly by confessing it to the Lord. Don’t give it a chance to progress to further sin. “If we confess our sins, He is faithful and righteous to forgive us our sins and to cleanse us from all unrighteousness” (1 John 1:9).